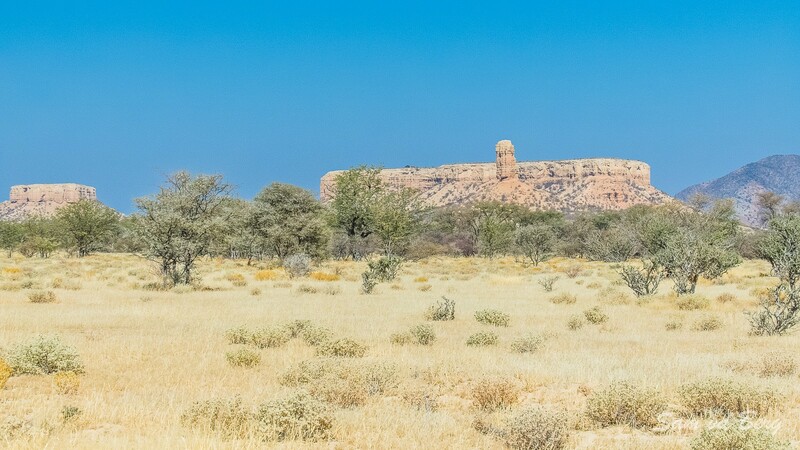 Travelling westwards en route to Khorixas, is the Ugab Vingerklip (finger of rock) situated amongst the rugged Ugab Terraces. If you stay on the tarred road you will miss this. 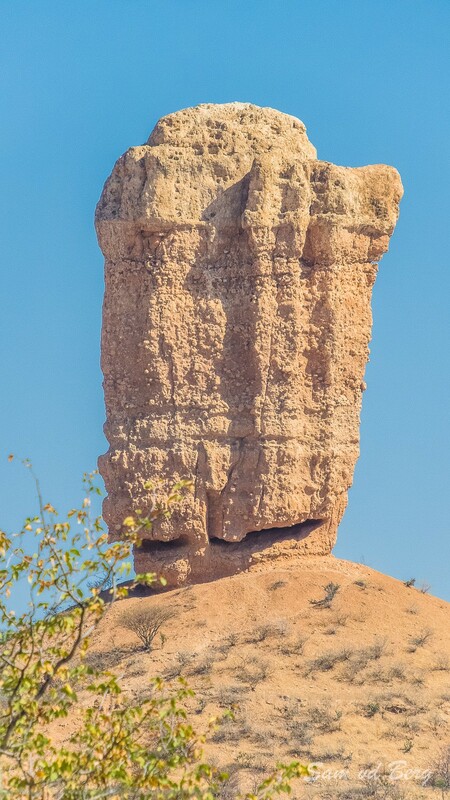 About 35 m high, this distinctive monolith has been moulded into its curious shape by erosion. 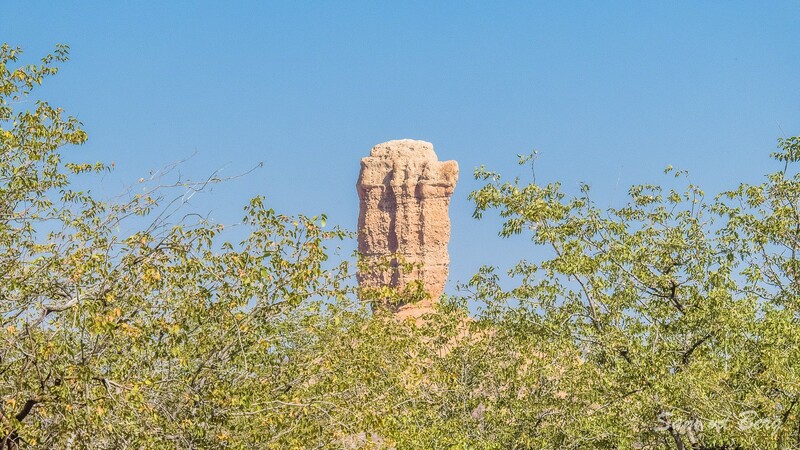 The high land has been cut down by the Ugab River, until the Canyons became only some stone pillars, comparable with the Monument Valley in America. The best known is the Vingerklip. Vinger=Finger, because it is so thin and high. The hills of the Ugab Terrace, near the town, deserve special mention for their unusual shapes. A particularly interesting section can be found on the Setenghi property, where some of the formations have been likened to castles from the middle ages. 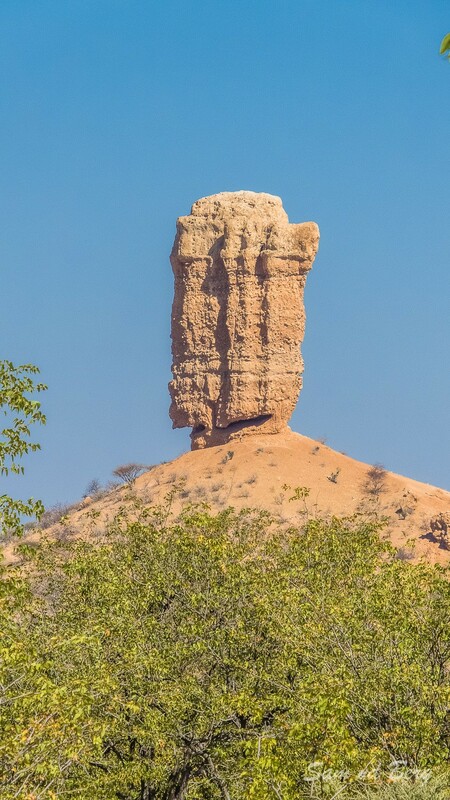 These are made of conglomerate, and stand on the edge of a plateau that stretches for more than 80km and eventually forms the northern boundary of the Ugab River Valley.